The neighborhood of Carmel Hills is a serene and quiet area with homes on large parcels offering picturesque Santa Lucia mountain views. 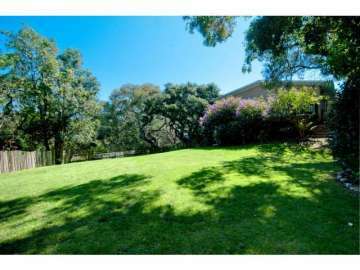 Private and peaceful, homes in this neighborhood are bordered by Hwy 1 to the west, open land to the east, Carmel Valley Road to the south and High Meadows to the north. Large parcels, hilltop views, towering cypress and majestic oaks are characteristic of the space, and homeowners enjoy a wonderful balance of escape and accessibility as it somewhat secluded yet in close proximity to Ocean Avenue and all the charms of Carmel-by-the-Sea. Families with kids will love the closeness to Carmel High, a California Distinguished School. Click here to preview all Carmel homes for sale in the Carmel Hills neighborhood. For all available Carmel real estate, click here. In 2018, 5 homes sold in this neighborhood. The most expensive home to sell was a 4 bedroom, 2.5 bathroom home with 2,888 SqFt of living space on a 26,572 SqFt lot and sold for 1,820,800. The least expensive home sold for 765K and was a 3 bedroom, 2 bathroom home with 1,511 SqFt of living space on a 22,651 SqFt lot. In 2017, 7 homes in this neighborhood sold. The most expensive home to sell was a single-level, post adobe home featuring 4 bedrooms, 2 bathrooms, 2,037 SqFt on a 16,117 SqFt lot. The least expensive home sold for 760K for a 3 bedroom, 2 bathroom ranch-style home with 1,576 SqFt on a 13,068 SqFt lot. In 2016, 17 homes sold in this neighborhood. The most expensive home to sell, sold for 1,346,925 for a 3 bedroom, 3 bathroom updated Comstock home with 2,456 SqFt of living space on a .43 acre lot. The least expensive home sold for 675K and was a 3 bedroom, 2 bathroom home with 1,344 SqFt of living space on .33 acres. In 2015 10 homes sold in the Carmel Hills neighborhood. The most expensive home that sold was a single-level home with beautiful views of Hatton Canyon and Fish Ranch and featured 3 bedrooms, 2 bathrooms, 2,869 SqFt of living space and sold for 1.18 million. The least expensive home to sell was a fixer upper with 4 bedrooms, 2 bathrooms and 2,010 SqFt of living space and sold for 585K. 4 homes sold in 2014 in Carmel Hills. The most expensive home sold for 1.1 million and was a 1,567 SqFt home on a 23,522 SqFt lot, while the least expensive sold for 775K and was a 1,544 SqFt home on a 11,270 SqFt lot. 9 homes sold in Carmel Hills in 2013. The most expensive home sold was a 2,663 SqFt home on a 13,000 SqFt lot which sold for 1.06 million, while the least expensive was a 1,764 SqFt home on 10,454 SqFt of land, which sold for 385K. In 2012 10 homes sold in this neighborhood. The most expensive home sold for 960K and was a 3,216 SqFt 4 bedroom, 4 bath home situated on a 17,424 SqFt lot with expansive gardens and upgraded amenities. The least expensive home sold for 393,525 and was a 1,500 SqFt 3 bedroom, 2 bath home on .79 acres. It was situated near the Carmel High School and had mountain views. Living in your home in Carmel Hills you may enjoy hiking, jogging, taking a quick trip in to Carmel-by-the Sea, or simply relaxing on your deck overlooking the mountains with a glass of wine. You will embrace the peaceful, relaxed pace of the neighborhood with its beautiful weather and ocean breezes. Your convenient location will allow you to take advantage of the best of Carmel living, from cycling through the Carmel Valley, spending a day at Point Lobos with camera in hand, a delicious dinner at Casanova’s or La Bicyclette or entertaining at home with friends and family in your hilltop retreat. Carmel Hills is a wonderful place to call home.